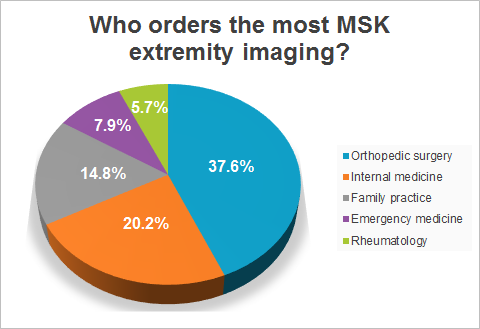 Who Orders the Most MSK Extremity Imaging? Researchers obtained data from the public Medicare files to find data on provider referral for medical imaging to identify the providers referring MSK extremity imaging examinations to radiologists. The results? In 2014, a total of 4,275,647 MSK extremity imaging examinations were ordered. But who referred the highest percentage of cases to radiology for extremity imaging? The winner, at 37.6% is…Orthopedic surgery! Percentage of images ordered per specialty, from highest to lowest. Orthopedic surgeons were also more effusive in ordering other imaging. You can read all of the stats at Diagnostic Imaging online. 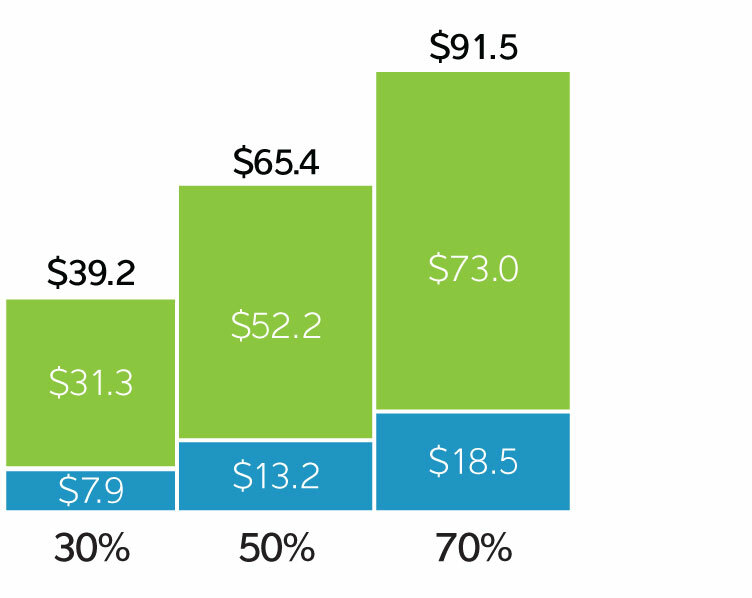 CT and MRI generally account for over 90% of Medicare-allowed charges for all extremity imaging. A 2008 article in the Journal of American College of Radiology1 determined that the substitution of MSK ultrasound for MSK MRI, when appropriate, would lead to billions of dollars in savings to Medicare. In addition to being more affordable, ultrasound allows for real-time, soft-tissue imaging, and can be performed by trained physicians at the point of care, rather than referred away (leading to a more efficient system of time-to-diagnosis). 1Parker, et al. Musculoskeletal imaging: Medicare use, costs, and potential for cost substitution. Journal of American College of Radiology. 2008: 182:188.